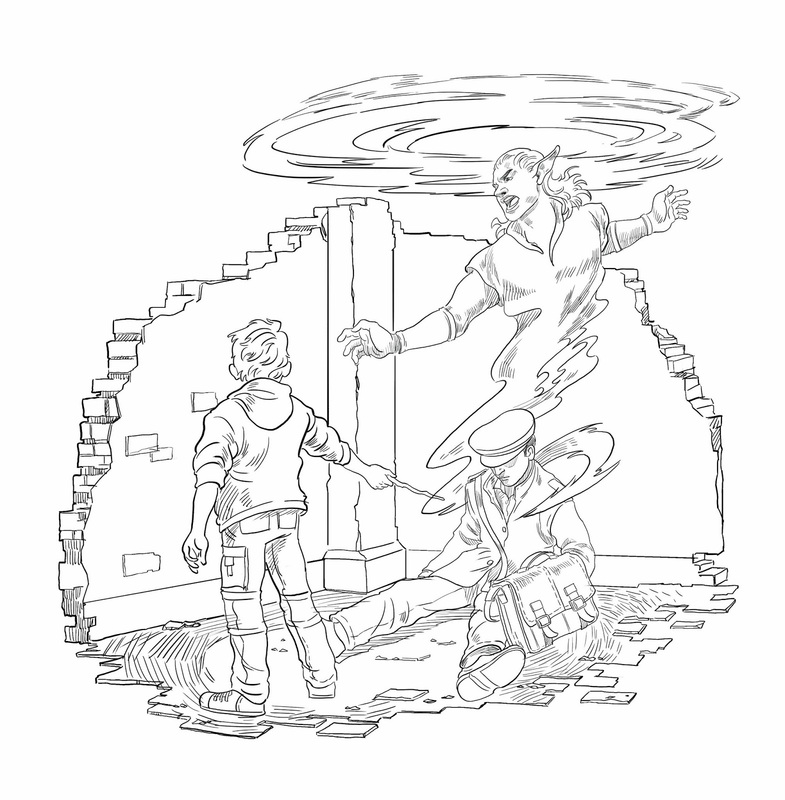 When Zaneyr tricks Finn into swapping places, Finn becomes bodiless soul stuck in the Otherworld, fighting spriggans with sharp teeth and rival faery Houses. Back on Earth, Zaneyr uses Finn’s body to fight off his father’s seekers and keep the king’s greatest weapon—himself—out of his hands. Between them, they have two souls and only one body… and both worlds to save before the dimensional window between them slams shut. 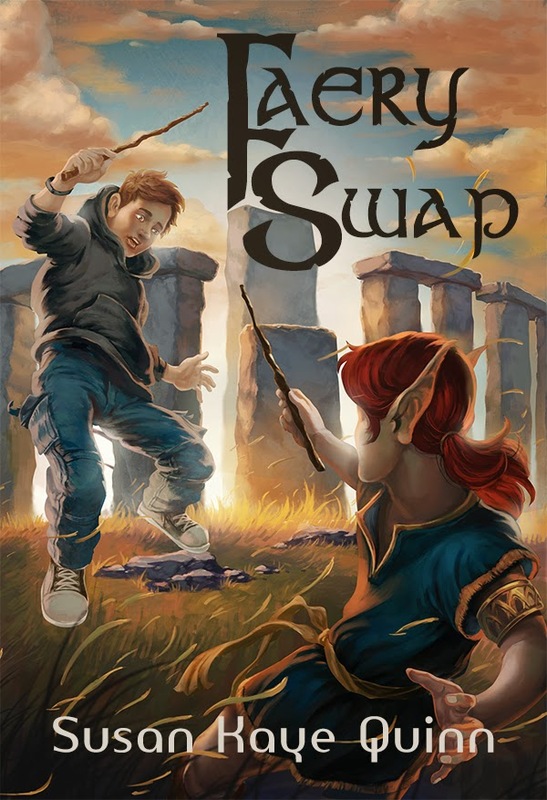 Use Faery Swap to get kids excited about reading and math! In Faery Swap, warrior faeries steal mathematical knowledge from humans to enhance their magickal faery powers. I’m passionate about this message – that knowledge is power and math is magick – so I created a Virtual Author Visit, activities, and a card-based game, so any teacher, anywhere on the planet, could share this message with their students. Read more here about the Virtual Author Visit! Great to hand out to students as prizes! Amazing art by Enggar Adirasa and titling by Ali Cross. Thanks to Bethany Kaczmarek for copyediting and Ali Cross for formatting! 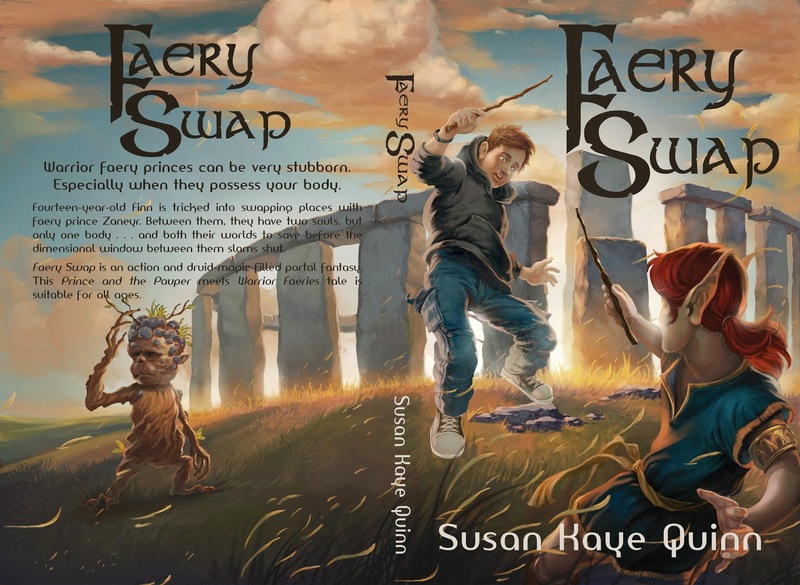 Complete fish-out-of-water story the entire way: Human Boy Finn has to fight faeries in the Otherworld, and Zaneyr the Warrior Faery Prince has to figure out how to buy ice cream. He was Finn’s size and age: on the unluckily short side of the gene pool. His gray jacket buttoned all they way up to a broad, white collar, and he had a long ponytail of flame-red hair. What guy wears his hair like that? Add in the fancy shorts, the tweed cap, and the black socks up to his knees, and Strange Boy looked like he had just escaped from the drama club. Finn picked it up, gave the boy a tight smile, and reached out to give it over. McFreaky grinned like he had won the lottery. 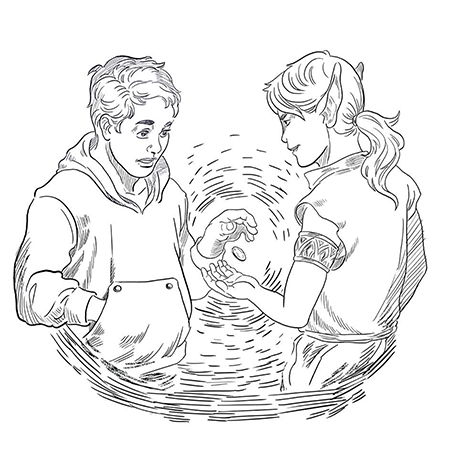 Finn put the coin in the boy’s outstretched hand, but his hand… passed right through McFreaky’s.